Ponza Island, the biggest of the three Pontine Islands just off the Lazio coast, is not only magical thanks to its crystal clear waters and vibrant colors. What Ponza has that many islands have failed to preserve is that sense of simplicity that makes a place so unique. It’s refreshing. While I am a worshipper of super clubs and modern bars, in an Island like Ponza they would feel like a slap in the face. So one thing’s for sure: don’t expect the crazy nightlife of Ibiza or Gallipoli on Ponza Island. Expect enjoying the moment, sipping cocktails and wines to the rhythm of Italian oldies mixed with the sight of the sun fading in the horizon. 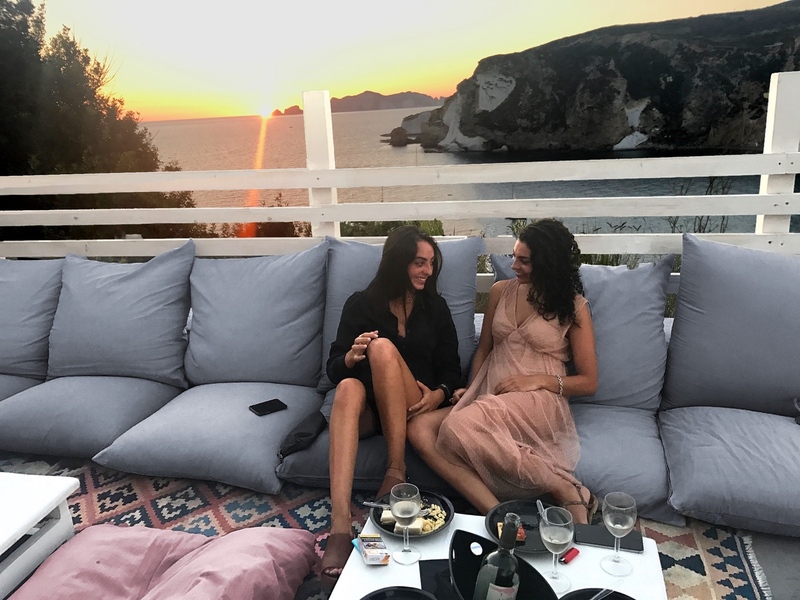 If it sounds tempting, scroll down to find out about my five favorite nightlife spots in Ponza Island! For an unforgettable happy hour paired with the best sunset in the island, Le Terrazze is definitely the place to go. The view? Sensational. The sun sets with the backdrop of the island of Palmarola and the stunning beach of Chiaia di Luna. It’s a sunset you’ll never forget. Around 10pm the piano bar starts rolling in, playing Italian oldies. While around midnight the DJ starts playing contemporary music. Inevitably EVERYONE starts dancing. 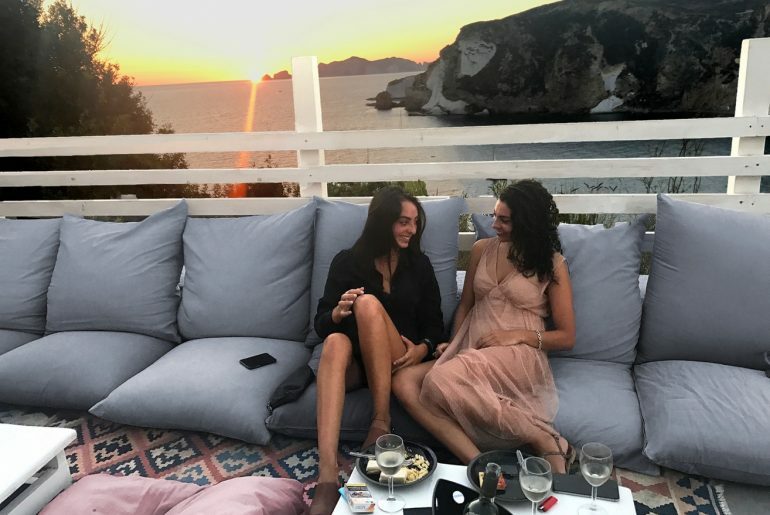 When’s the best time to come to Le Terrazze? Definitely around 7.30pm so you’ll enjoy the whole sunset. If you want a table (and I urge you to get one) make sure to reserve one. The cocktails are very good (the Mojito and the Negroni were top notch). 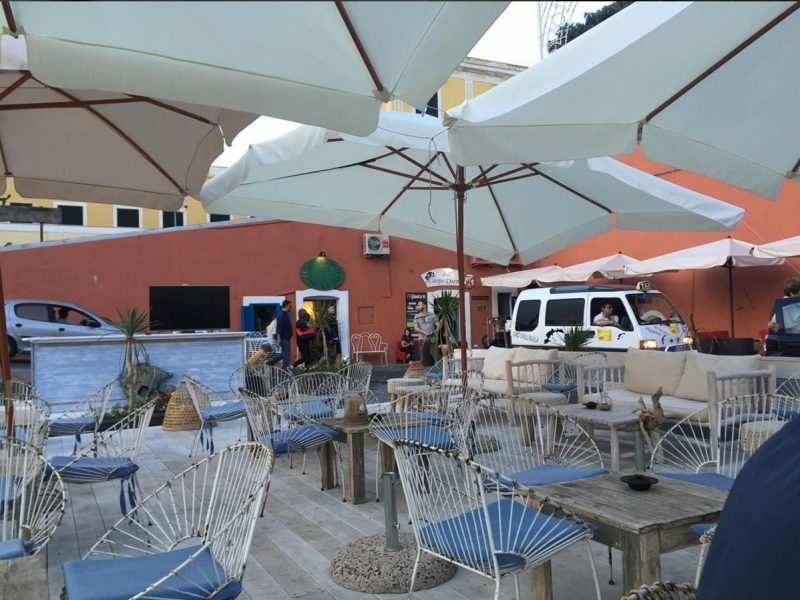 This cocktail and tartare bar is a place you cannot miss in Ponza Island. 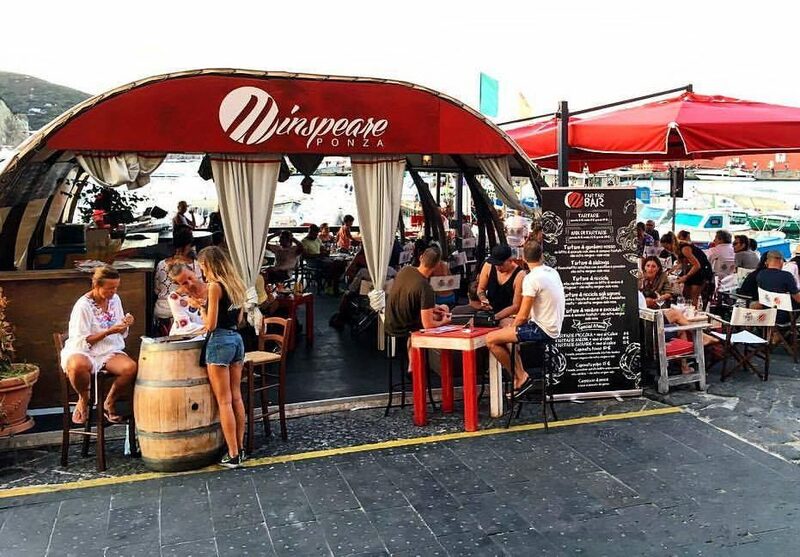 Right in the port, next to the fisherman’s boats and restaurants, you’ll find this Ponza Island classic: Winspeare. Don’t expect anything fancy, at Winspeare it’s all about the atmosphere, the food and the fun. There are two times of the day that you should visit Winspeare: during happy hour and around midnight. For happy hour, don’t miss out on the super fresh tartares! I had a red shrimp tartare and my boyfriend a tuna tartare and OMG they were amazing. Extremely fresh and perfect. I urge you to have wine. While around 11pm you’ll be lured into Winspeare by the fabulous piano bar playing Italian oldies. But if that’s not your thing, no worries, around midnight they start rolling in the commercial music and the place gets crowded, FAST! Cocktails are good but a tad strong for my taste! Bar Tripoli is an institution on the island. And you definitely get that vibe by the amount of people willing to wait for a table. Is it worth the wait? I definitely think so! 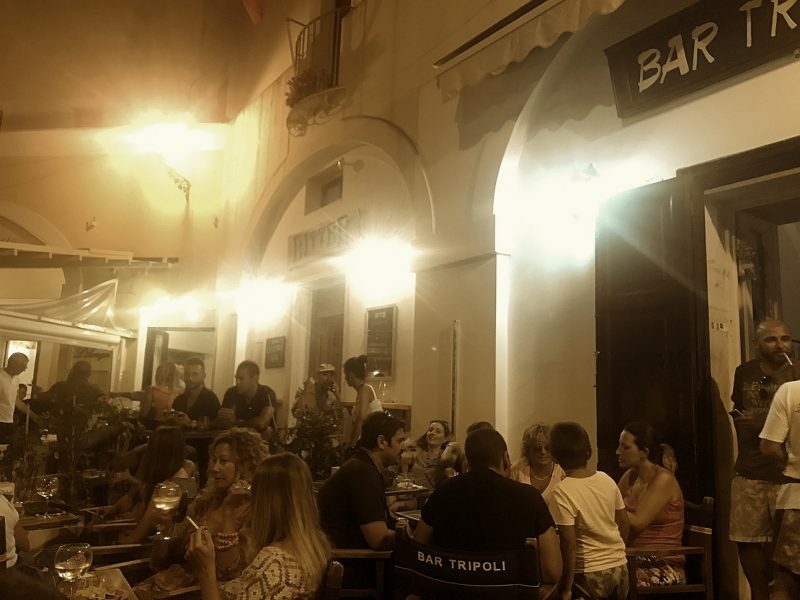 Situated in the port of Ponza, Tripoli is one of the liveliest bars on the island. The vibe is great, with music playing in the background, and the place is bustling with people. The service is efficient and very friendly. Best time to come here? Before dinner for aperitivo or after dinner for drinks. I had both the wine and the cocktails and they are both real good! Situated in Campo Inglese, just a 10-minute bus ride from the port, you’ll find a corner of paradise: Mamafè. With its tropical garden and beautiful views, this bar is the perfect place to go for a relaxing happy hour or an after dinner drink. The location is spectacular, the garden boasts a large variety of tropical plants and trees. While the comfy white sofas and chairs mixed with candle-lit tables and pathways definitely sets the tone. Always best to make a reservation, but walk-ins are more than welcome. Happy hours are great at Mamafè, each guest is served a platter with a mixed variety of pastas as well as delicious octopus and potatoes. The drinks are good and the staff is extremely kind and professional. Au Bord de L’Eau definitely has a certain charm. Apart from the fabulous location right in the port of Ponza, it has a beautiful style. 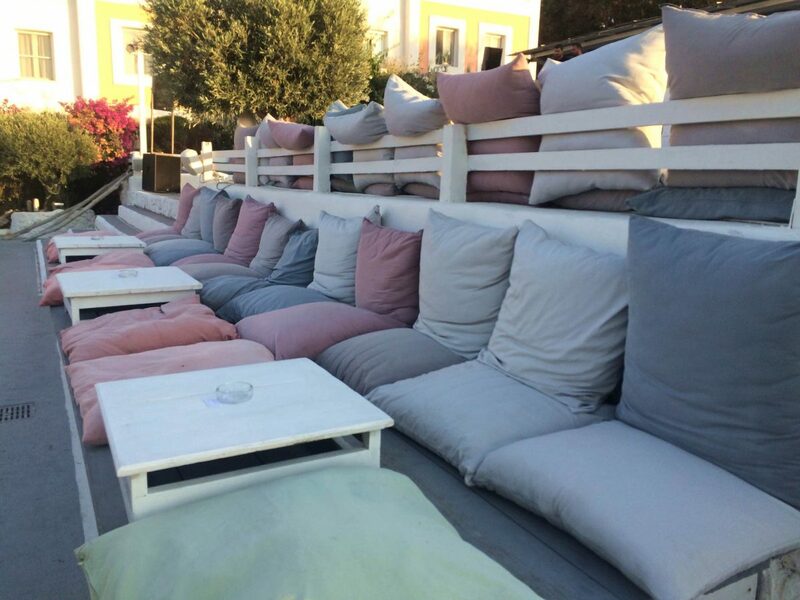 It’s filled with comfy chairs, cushions and sofas, and it’s practically on the water. Sipping your wine glass or cocktail at this bar is kind of like feeling suspended in a cloud. When’s the best time to go? For an after-dinner drink. 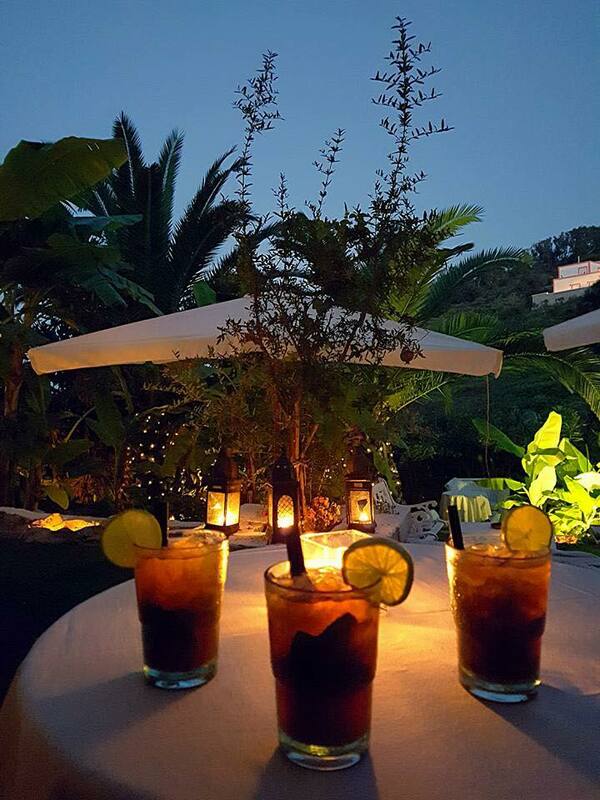 With the bustling music and delicious cocktails presented to perfection, you know you’re in for a great night. The “Ponza” cocktail is an absolute must with rum, wild fennel, lime and ginger.